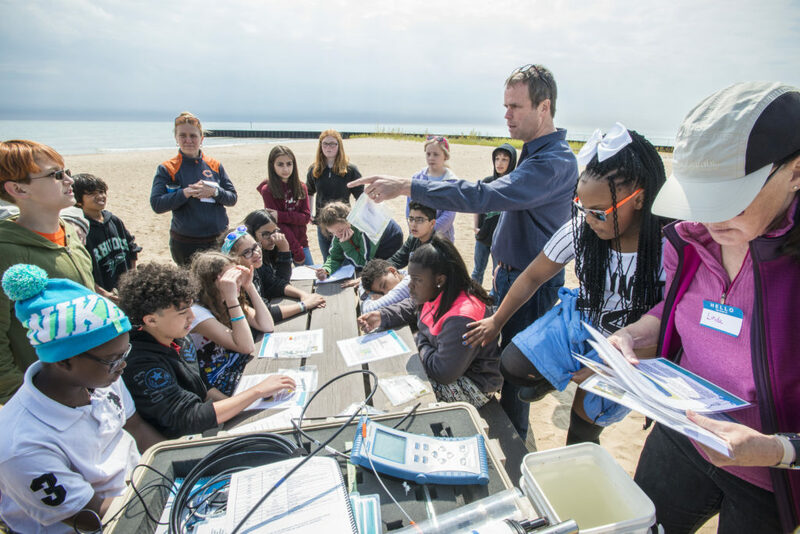 About 1,500 students in the Evanston/Skokie School District 65 are getting up close and personal with science these days, using the Great Lakes as their local laboratory. The district just completed the second year of a collaborative pilot program that uses innovative ways to bring Great Lakes education to third and sixth graders at all of its 16 schools. That can look like a trip to the water reclamation plant for sixth graders learning how water is treated before it’s returned to Lake Michigan, or mapping the surfaces of the school playground and parking lots for third graders to learn the impact on Lake Michigan water quality. The Evanston district was approached by LakeDance, which teaches about the Great Lakes watershed through the arts, to bring the Alliance’s Great Lakes in My World curriculum to district students with the help of a grant. Evanston is one of two school districts around the region incorporating the curriculum at the district-wide level. Andalib Khelghati, principal of Dewey Elementary School in the Evanston district, says the Great Lakes curriculum was a natural fit with their existing curriculum, which emphasizes a hands-on approach to science. “Any time the teachers have an opportunity to know how to better engage with the environment that surrounds the school in a more profound way, that’s a win-win for the students because their eyes open to what’s happening around them,” he says. 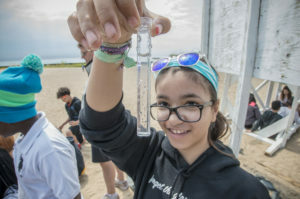 In addition to visiting the treatment plant, Fusinatto says her sixth graders gathered and recorded litter data and performed water quality tests during an Adopt-a-Beach™ cleanup. That information was shared with the larger community when students created and presented a poster at a local festival.